I think one thing you can't really go wrong with, is buying jewellery as a gift for a female for Christmas. I think it shows you've actually thought about what you're buying and it's something the recipient can keep forever too. Long gone are the days in which we're limited to a pair of studs, a necklace, bracelet or a ring. I know so many of us now, have quite a few piercings.. I mean, even I have four! I actually really struggle to find nice jewellery for my helix ear piercing but The Body Jewellery Shop have come to my rescue! The Body Jewellery Shop really do sell everything for any type of jewellery lover, ranging from belly bars, nose stud, tongue bars and plus. Basically, E-V-E-R-Y-T-H-I-N-G. 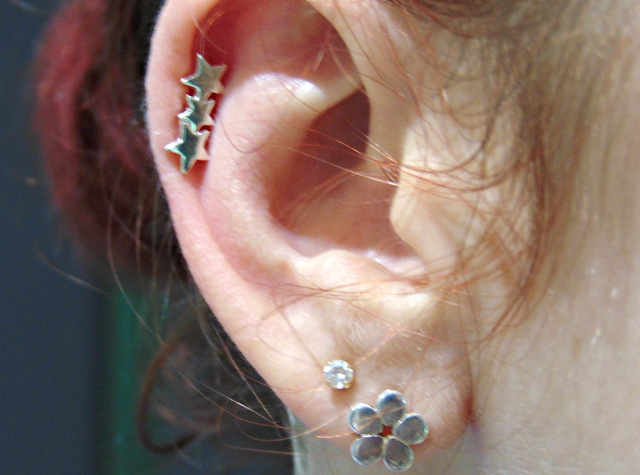 Anyway, the piece is this three star bar which I absolutely love and is a great way to add a little sparkle to your ear. Plus, it's only £3.95! I was a tiny bit worried that the edges would dig into my ear and irritate me but after sleeping on it quite a few times, I'm happy that it sits nicely in my ear. 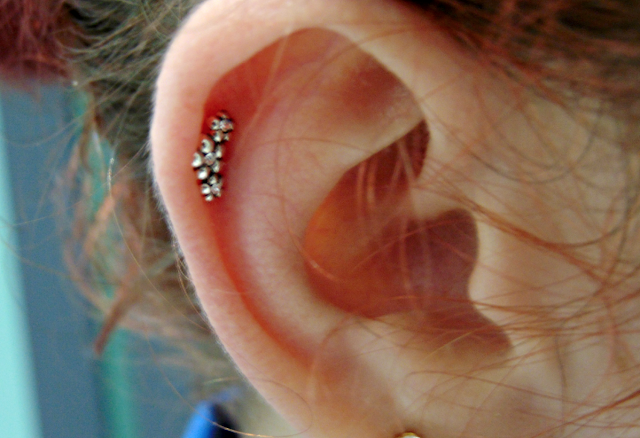 I know it's sad, but I think it's such a pretty way to dress your ear up a bit more! They also kindly sent me this clear daisies piece, which is much more subtle and girly. 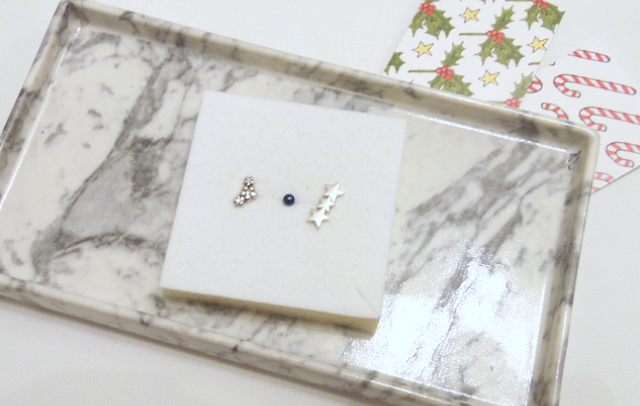 I really love this piece too as it goes really well with my everyday daisy studs. I think the clear jewels are a great addition and look really pretty when they catch the light. Oh and not forgetting that it's only £3.95 too which is a bargain! As you can tell, I'm so chuffed with these pieces. I'm also really gutted that piercings and tattoos are seen in a negative light because I'll have to take it out in January and replace it with something much smaller. I am really impressed with the Body Jewellery Shop though, and think it's so great for affordable, quickly pieces :) I'm now eyeing up they belly bars, as I have that done too!